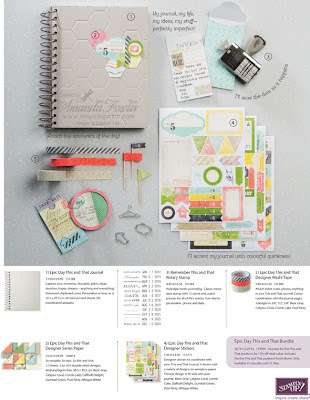 hello stamper: Introducing This and That! Do you love the idea of preserving life's special moments and memories, but a scrapbook seems like too much hard work?? Your life is: Fabulous. Quirky. Exciting. Perfectly messy. And happening really fast. 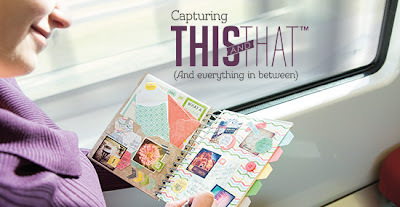 And Stampin' Up!s newest product line lets you capture it all on-the-go. This and That is a collection of products to make journals - like scrapbooks but quicker and a bit less 'perfect'! Collect tickets, flyers and other bits and bobs, stick in photos, and annotate with comments, lists and stories - the possibilities are endless. I can imagine this being a big hit with teenagers too! 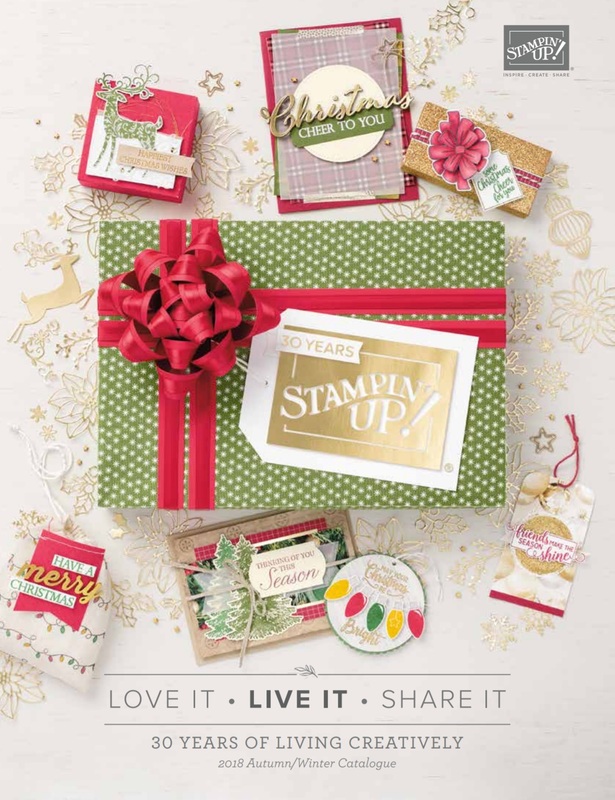 This and That will be in the new annual Stampin’ Up! catalogue which launches on the 1st July 2013, but you can get them now! And even better, you can get all five This and That products in a bundle for 15% off until 31 May. The following products are in the bundle but they can also be purchased separately at their full price. 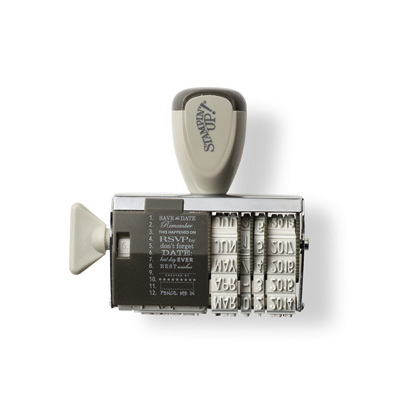 Includes the five This and That products listed above. Only available in a bundle until May 31. 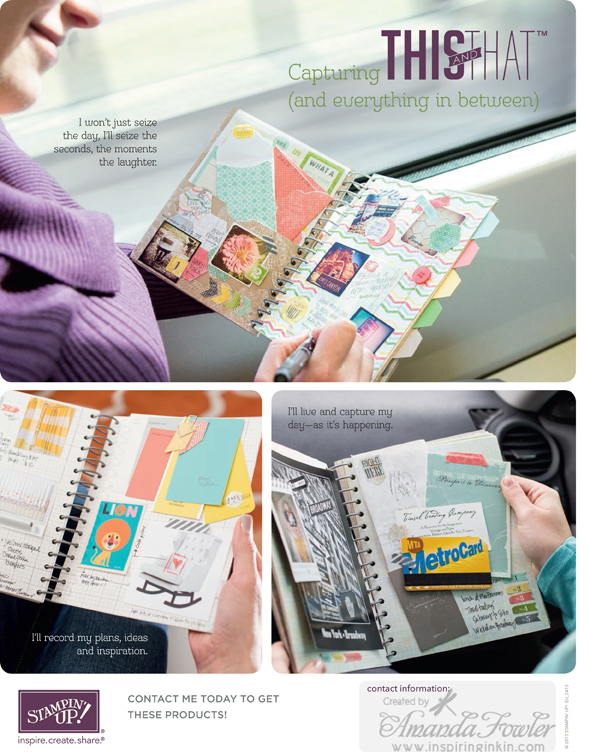 What do you think about journals and scrapbooks? Would you be interested in a class using this bundle? Please leave a comment below for a chance to win the Remember This rotary date stamp - I'll draw one of the comments from here and my facebook page next Wednesday 8th May.